I hope you will come out and enjoy some wonderful jazz for the benefit of the Potsdam Humane Society. I know there will be a lot of competition for your attention on Potsdam Summer Festival weekend but I can assure you that this is a rare opportunity. To see for yourself, check out this video of the trio that was shot at the Jazz Masters Series at Sara’s Wine Bar, March 29, 2015. Not only will you experience superb music, but a portion of the proceeds will benefit the Potsdam Humane Society’s wonderful work providing shelter and medical care for homeless animals in our community. 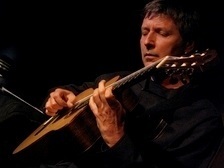 The trio is Paul Meyers, Vanderlei Pereira and Leo Traversa. Paul is a world-renowned jazz guitarist who has played with a long list of jazz greats and toured with Jon Hendricks and Andy Bey. 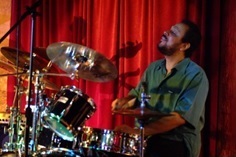 Vanderlei is a Brazilian drummer, percussionist, composer and educator based in New York City and leads the Brazilian jazz group Blindfold Test. Leo is a musician, educator and author with broad experience in various musical cultures and the author of Afro Caribbean and Brazilian Rhythms for Bass. Can’t tear yourself away on Saturday evening? The trio will also be performing at the Edwards Opera House on Sunday, July 12 at 5 PM. For more information about that show, go to the Edwards Arts Council’s website. 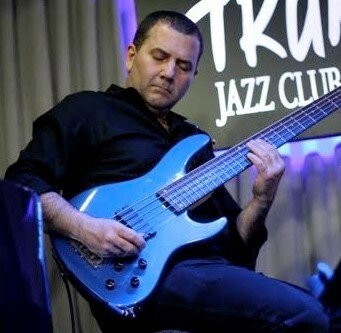 Master Class in Brazilian and Latin Music/Jazz! The group will demonstrate examples of these styles and will talk about some of the important ideas to apply to their own instruments. We’ll have group participation also, with attendees learning the rhythms of the styles by clapping patterns from the important percussion instruments that are the foundation of each style. There will be handout that can be taken home with the rhythms explained and practice patterns for guitar, piano, bass and drums/percussion, as well as a list of great resources, CDs and books, that can be used to continue working on the music. This video gives a taste of the musicians and some of the music styles they’ll be teaching. The trio is offering a discount package: Class and concert for $35! To reserve a spot for this class, go to http://www.brownpapertickets.com/event/1771561. For more information please contact Paul Meyers at paulclarkmeyers@gmail.com (973-722-1354). A most wondrous evening, thank you so much. Magical. Vibrant. One of the most enjoyable evenings I’ve experienced in the North Country. Thank you. Bravo!